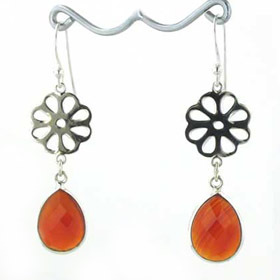 Red onyx earrings are bold, firey and fun! 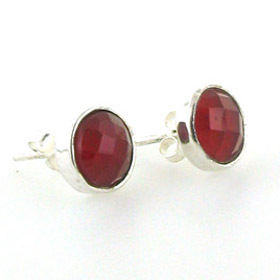 These are the perfect red earrings to accompany your spicy colours, your linen and lively prints. 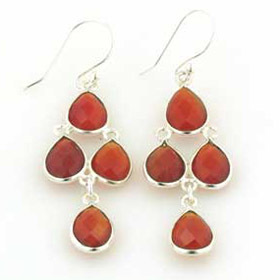 Red onyx is an opaque semi-precious stone which looks fabulous polished and smooth or faceted. 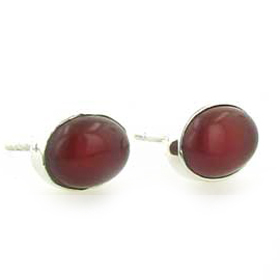 Find red onyx studs, red onyx drops and red onyx hoops below. Make a red onyx jewellery set with a red onyx pendant and a red onyx ring.